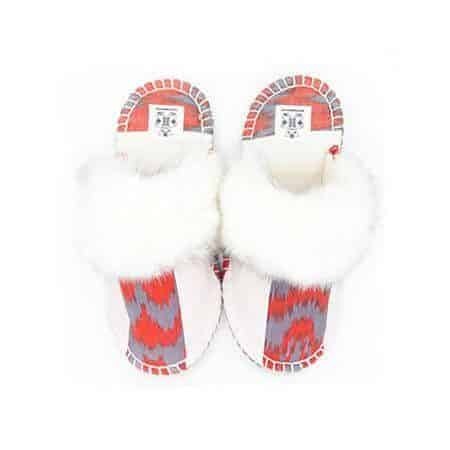 Comfortable, cosy and colourful, a pair of handcrafted felt slippers are the perfect choice for the child on the go! Stitched with love and precise attention to detail, each pair of Woolenstocks blends a time-honoured tradition of storytelling with modern form and function. 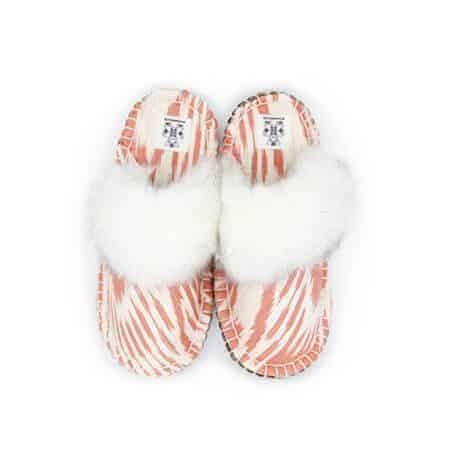 In a world of mass production, organic slippers provide an opportunity to wear a unique design, but also to empower women and children around the world through charitable organizations. 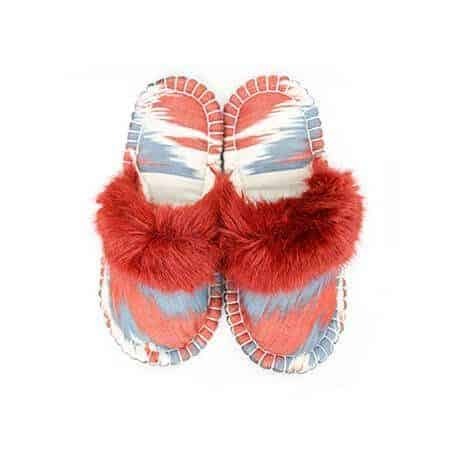 We take pride in honouring the ancient traditions of crafting Himalayan felt slippers. We value the time, talent and skill it takes to handcraft every organic order we fulfill. Woolenstocks bold, colourful, and unique designs are inspired daily by children and their boundless imaginations. 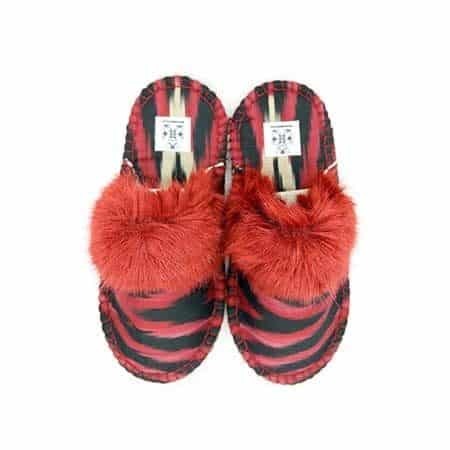 From adventures in the garden in their Woogo Felt Boots to bedtime stories in their Huga Felt Slippers, your child will create their story with every step they take. 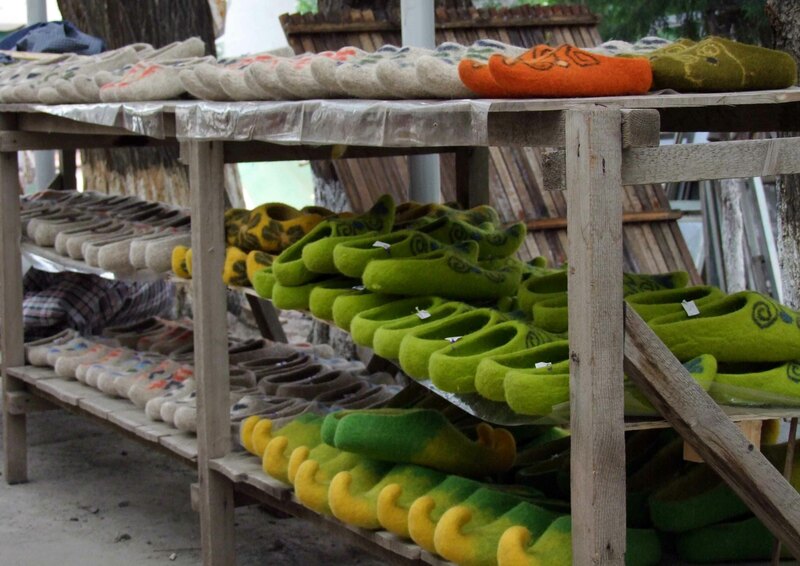 And just like their story, each pair of Woolenstocks wool slippers starts with a story in every stitch. Our artisans understand that children play hard, creating their story with every step they take. 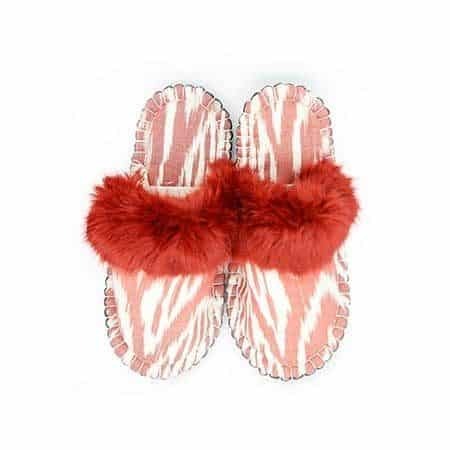 We design our slippers to last. In fact, it takes over 40 hours to embroider a single pair of Woolenstocks! Durable and designed to withstand the daily joy of energetic play, wool is the perfect material to sustain even the wildest adventures. Best of all, felt shoes provide a comfortable option for year-round play. Regardless of seasonal temperatures, felt is great for both hot and cold temperatures. At Woolenstocks, we’re committed to empowering women and children around the world. As proud partners of charitable organizations around the world, we work with artisans in remote areas of Africa and Asia, to help families grow food and find long-term solutions to poverty. 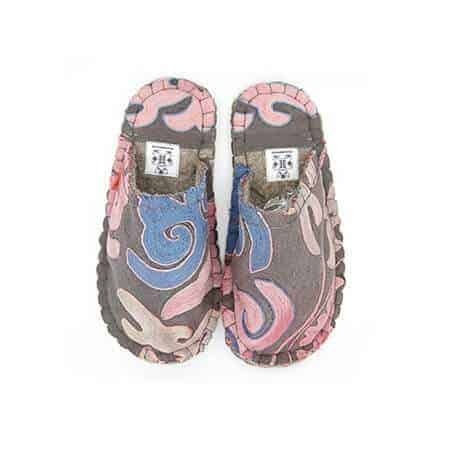 Each pair of our felt slippers supports women, children, and refugees in developing communities around the world. Sustainably crafted, socially conscientious, comfy, cosy and cute – our colourful felt creations are the perfect addition for your little one as they play, learn and grow! 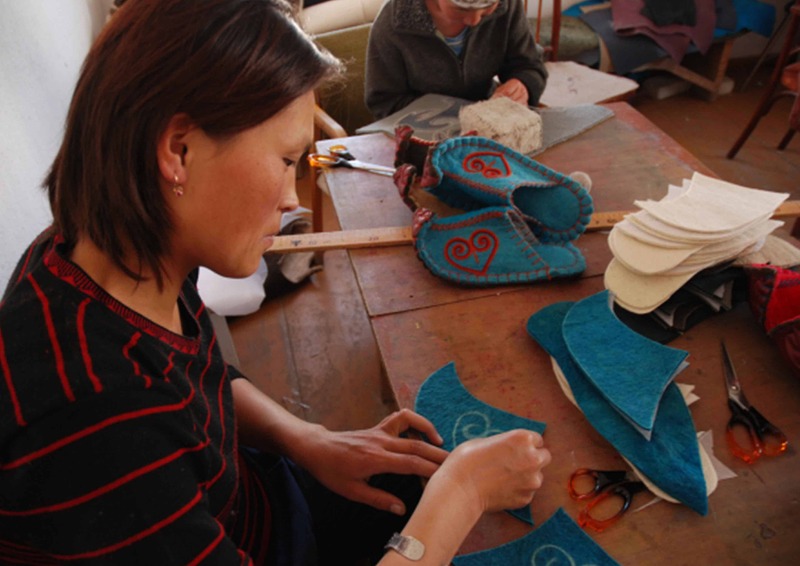 The income earned from crafting Woolenstocks provides valuable income for the female artisans who make them. This income not only offers food and education to their family but also strengthens their voice so they can speak out against the injustices they face. We believe that together we can make a difference one family at a time. Together we can help build societies and improve quality of life for women, children, and refugees around the world. Together we can make the world a better place, one stitch at a time. We look forward to fulfilling your order. Previous Article Where do your Woolenstocks call home?